Tasmania is an “Island of inspiration”, with a large and relatively unspoiled natural environment. Tasmania is an Australian island and state. The first reported sighting of Tasmania by a European was on 24 November 1642 by the Dutch explorer Abel Tasman. Tasman landed at todays Blackmans Bay. The early settlers were mostly convicts and their military guards, with the task of developing agriculture and other industries. In the fifty years from 1803 to 1853 around 75,000 convicts were transported to Tasmania. Van Diemens Land was proclaimed a separate colony from New South Wales, with its own judicial establishment and Legislative Council, on 3 December 1825. It is 240 kilometers south of the continent of Australia. The state has a population of about 510000, of whom almost half reside in the state capital and largest city, Hobart. Almost 37% of Tasmania lies in reserves, national parks and World Heritage Sites. The island is about 365 kilometers long from its northernmost to its southernmost points, and 300 kilometers from west to east. Other major population centre includes Launceston in the north and Devonport and Burnie in the northwest. 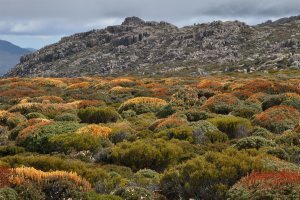 Tasmania has a cool temperate climate with four distinct seasons. Summer lasts from December to February when the average maximum sea temperature is 21 C and inland areas around Launceston reach 24 C. The winter months are between June and August and are generally the wettest and coolest months in the state, with most high lying areas receiving considerable snowfall. 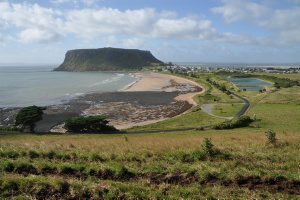 Rainfall in Tasmania follows a complicated pattern rather analogous to that found on large continents at the same latitude in the northern hemisphere. On the western side rainfall increases from around 1,458 millimetres at Strahan on the coast up to 2,690 millimetres at Cradle Valley in the highlands. The Ben Lomond National Park is located in the northeast about 50 km east of Launceston. The park has an area of 18,192ha and was established on 23 July 1947. The highest peak of the mountain, the second highest point in Tasmania, is actually named Legges Tor (1572m), but the term Ben Lomond is more commonly used. The mountain is one of the few skiing areas of Tasmania which became possible in the 1930s when a road was constructed as far as Car Villa site of the first ski hut to be built. Carr Villa is now a Scout Hut and is a stop off point on the road before the climb to the plateau begins (Jacobs Ladder). 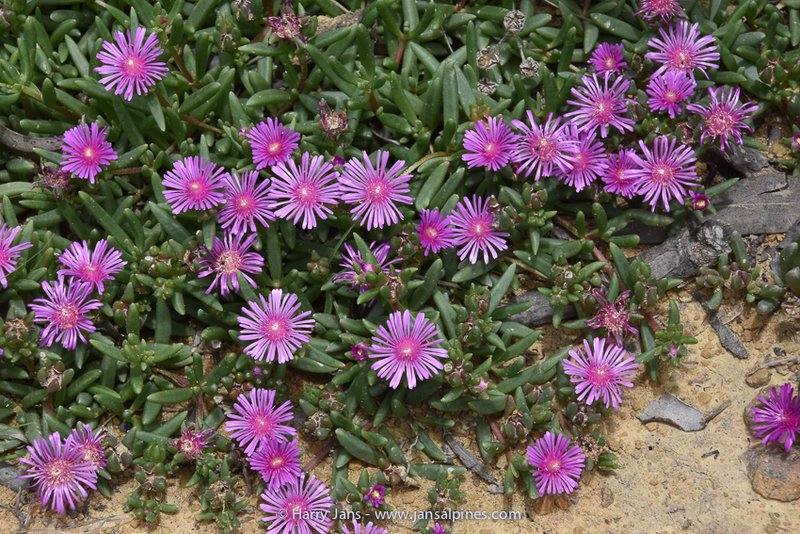 The plateau is the home of a large number op alpine plant species many of which are endemic. 169 species have been recorded from here. The most dominant and the most notable of all are the wonderful Richeas (R. scoparia) with flower spikes varying in colour from white to almost orange-red. 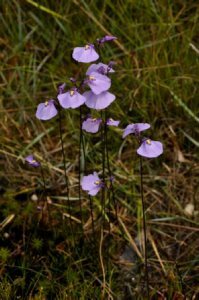 An other exciting plant is Bellendena montana (Mountain Rocket). 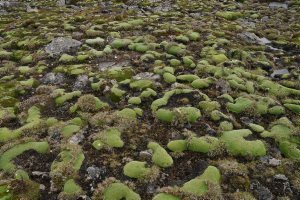 On this mountain, growing in poorly drained water-logged soil you can see two endemic cushion plants. One with minute hairy rosettes, Pterygopappus lawrencei and the darker green cushions of Abrotenella fosterioides. 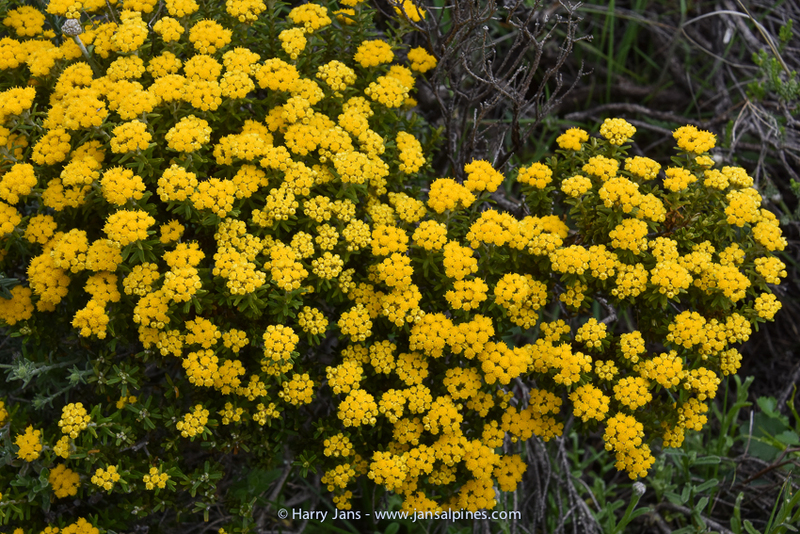 Almost at top of the Hamilton Crags, is one more very rare endemic cushion plant, Chionohebe ciliolata. It is found only in this very restricted locality and ranges in size from 10-40cm in diameter. 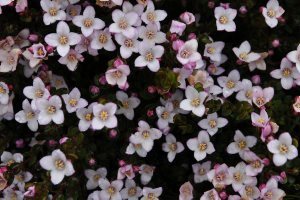 Other exciting plants found on Ben Lomond are: Ewartia catipes, Senecio pectinatus var. pectinatus, Drosera arcturi, Epacris serpyllifolia, Euphrasia colliana ssp. diemenica, etc. This area is one of the most popular natural areas in Tasmania. The jagged contours of Cradle Mountain epitomise the feel of a wild landscape, while ancient rainforest and alpine heathlands, buttongrass and stands of colourful deciduous beech provide a range of environments to explore. 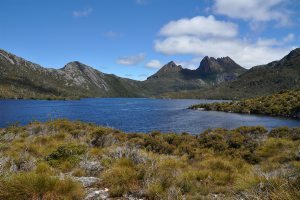 The Cradle Mountain National Park is a significant location of Tasmanias endemic species. 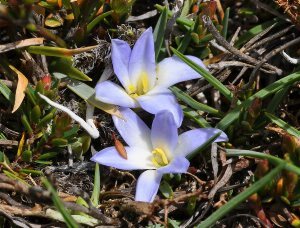 40-55% of the parks documented alpine flora is endemic. 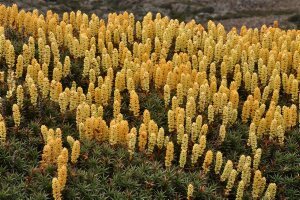 Furthermore, 68% of the higher rainforest species recorded in alpine areas in Tasmania are present in the Cradle Mountain National Park. 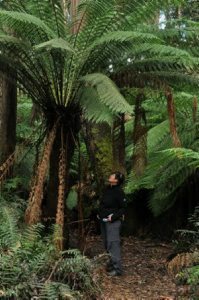 These areas contain some ancient plants, including the long-lived and endemic conifers such as King Billy pine, Athrotaxis selaginoides, pencil pine, Athrotaxis cupressoides, the hybrid Athrotaxis laxifolia, Nothofagus gunnii and and myrtle beech, N. cunninghamii. 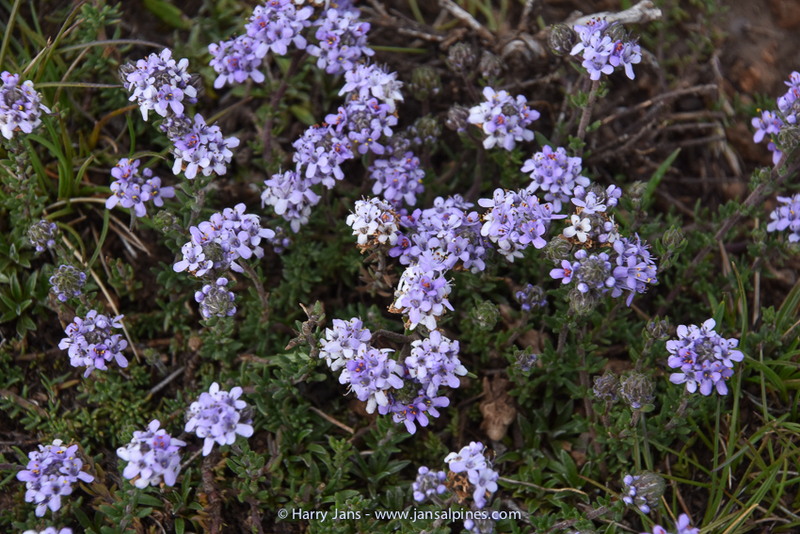 The parks alpine vegetation is very diverse. 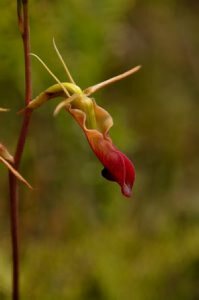 On the higher areas you will find plants like Donatia novae-zelandiae, Dracophyllum minimum, Boronia rhomboidea, B.citriodora, Ewartia meredithiae, Euphrasia striata, Helichrysum milliganii, Herpolirion novae-zelandiae, etc. 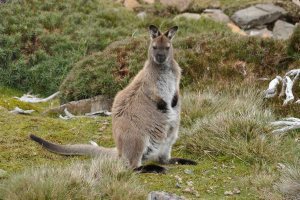 Animals present in the park include: pademelons, Bennetts wallabies, quolls, Tasmanian Devils, echidnas, wombats, possums, ravens and currawongs. 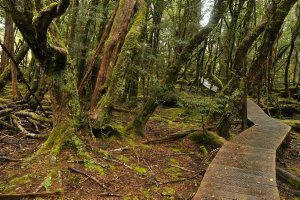 There are a number of excellent walks in the area, including the Dove Lake Loop Track which takes you through the stunning Ballroom Forest, an area of cool temperate rainforest nestled against the slopes of the mountain. 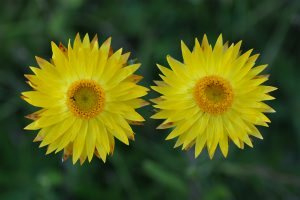 Other walks include the Weindorfers Forest walk or take a walk to Crater Peak with masses of endemic alpine (cushion) plants. The area around Weindorfers Chalet (Gustav Weindorfer, 1874-1932, Austrian-born Australian amateur botanist, lodge-keeper and promoter of the Cradle Mountain National Park.) is well worth a look. 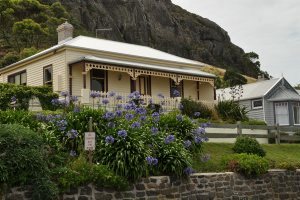 Rich in history, the rustic chalet was once home for Gustav Weindorfer, the founding father of the Cradle Mountain National Park. The area in which the chalet is set is simply beautiful. The Visitor Centre at the entrance to the park provides details on walks and other activities in the area. 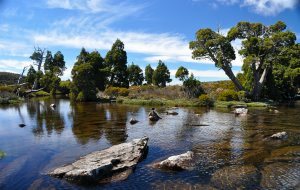 More information about Tasmanian National Parks click here.